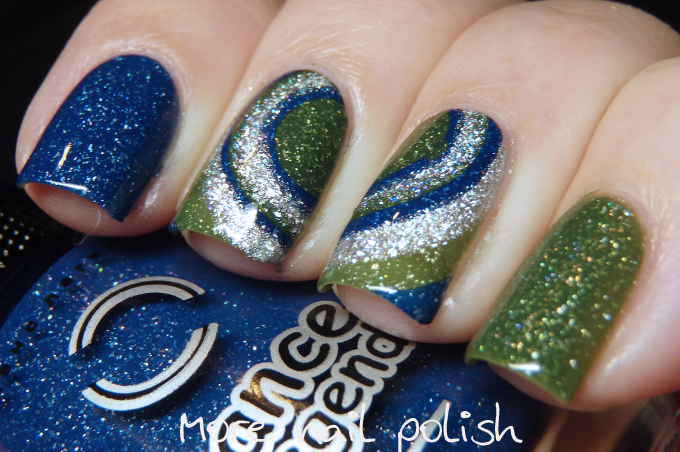 Today I have some nail art created with two polishes from the Dance Legend Military Collection. The Military Collection consists of 12 shades, six of them are cremes and six and crelly based scattered holographics. All the colours in the collection are what I call 'dirty' and muted, and when I call them dirty I mean that in the best way. They have that darkened dusty feel to them. The green shade is called Scout and the blue shade is called Heroes. I created a round, undragged water marble using the two shades, as well as Steel Panther from the WOW Prisms Collection. The Military polishes differ from the WOW prisms in that the bases are more crelly based, with that slight creme feel compared to the full jelly finish of the WOW prisms, plus the WOW prisms have significantly more holo in them. 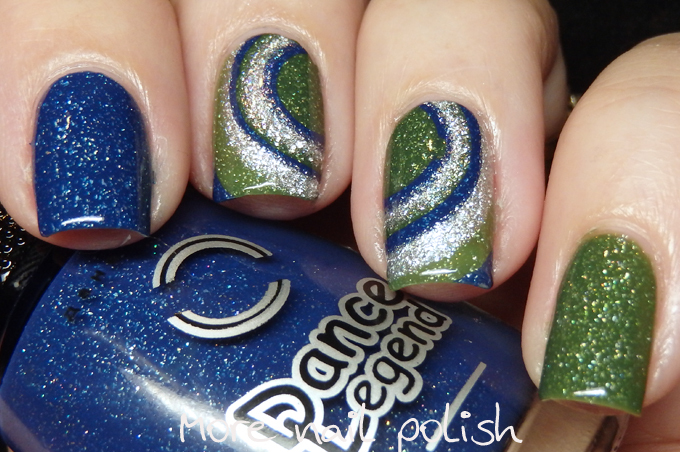 As usual with Dance Legend polishes, the formula was excellent, neither thick or runny, just right. 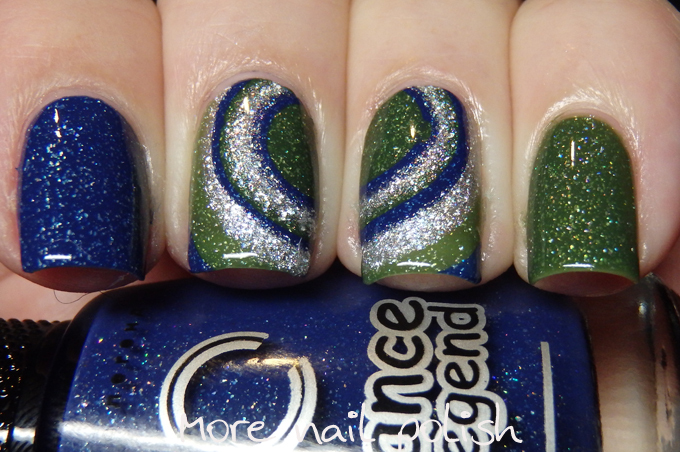 Both were opaque in two coats and had great depth of colour and holo.